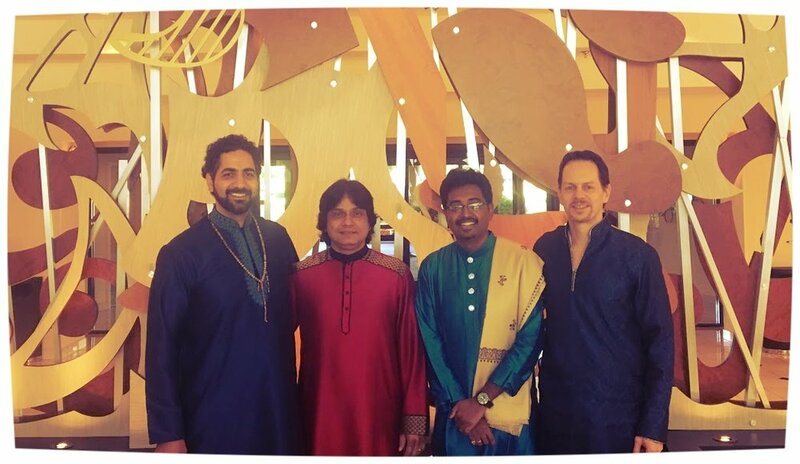 Founded by Veena artiste Saraswathi Ranganathan, the group has been performing for the past 8 years, delighting audiences with lush rustic soundscapes of flamenco music and Afro rhythms woven into the rich sounds of Indian Classical ragas, Turkish Maqams, embellished with blues and folk melodies. Performances often include both music and dance from the Indian, African, Spanish flamenco traditions. Surabhi Ensemble features an outstanding line-up from Chicago’s music / theater scene. Support Surabhi with a donation today! Ronnie Malley is a multi-instrumentalist musician, actor, producer, and educator. With a background in Global Music and Performance Studies, Ronnie has collaborated with artists internationally and has composed and consulted for numerous cultural music projects in film and theater. Recent theatre credits include: American Griot co-author/composer (Moraine Valley FPAC), Macbeth Hecate/musician (Chicago Shakespeare Theatre), Great Expectations composer/sound designer (Silk Road Rising), A Disappearing Number musician (Timeline Theatre), Ziryab, The Songbird Of Andalusia author/solo performer (Silk Road Rising), The Secret Garden musician (Court Theatre), The Jungle Book musician/consultant (Goodman, Huntington), The White Snake co- composer/musician (Oregon Shakespeare Festival), The Who And The What composer/co-sound designer (Victory Gardens), The Sultan’s Dilemma associate producer/actor (International Voices Project), and The Arabian Nights musician/actor (Lookingglass). Recent music producer credits include: Lamajamal – Tsikago, Surabhi Ensemble, East Meets Middle East, Aurad Fathiya, The Andalusian Trail (staged production), and The Reminders. Ronnie has a degree in Global Music Studies from DePaul University and is a teaching artist with Chicago Public Schools, a faculty member at Old Town School of Folk Music, and a guest lecturer at universities. He is an international artist and has performed for programs at the Kennedy Center (DC), Harris Theater (Chicago), Jaipur Literature Festival (India), University of Cordoba (Spain), National Song, Music, and Dance Theatre (Vietnam) and Wuzhen Festival (China), as well as on initiatives for the Doris Duke Foundation for Islamic Art, APAP, Arts Midwest, and the Inner-City Muslim Action Network. He conducts Arabic language artist residencies for Chicago Public Schools through Intercultural Music Production, and is a veteran teaching artist for music and theater with Global Voices Initiative, CAPE Chicago Arts Partnerships in Education and the Old Town School of Folk Music. Ronnie has performed with the music groups Allos Musica, Apollo’s Fire, Diwan Al-Han, EMME East Meets Middle East, Lamajamal, Mucca Pazza, Newberry Consort, Surabhi Ensemble, and the U of C Middle East Music Ensemble. 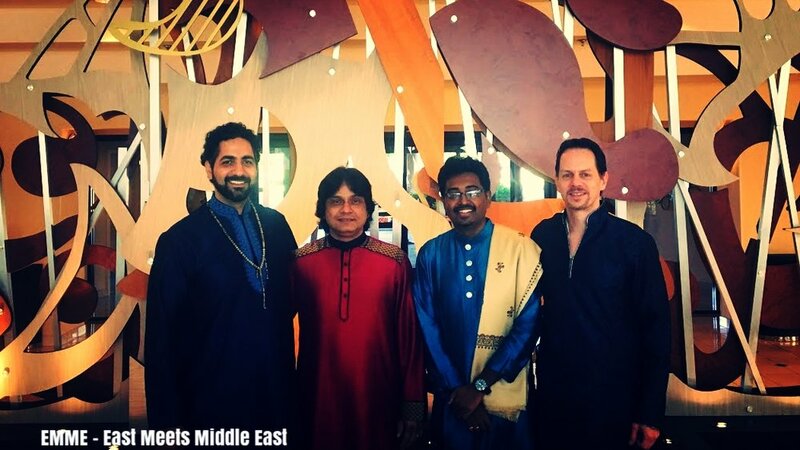 What happens when Indian sarod and tabla meet Middle Eastern oud and darbuka? 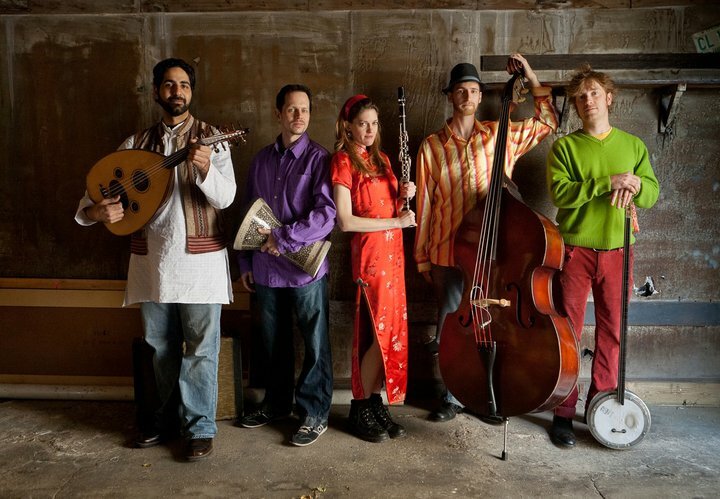 Diwan al-Han is a Chicago-based music ensemble that performs classical Arabic music and poetry from Andalusia, Egypt, Syria, and other parts of the Middle East and North Africa. The musicians in the group come from various backgrounds including Syria, Palestine, Jordan, and Egypt, and are steeped in the traditional music from these regions having performed with renowned international artists including Sabah Fakhri, Tony Hanna, Kazem al-Saher, Elias Karam, and more. Diwan is the Arabic word for collection of poems, and al-Han, which means local gathering place, is also a synonym for musical compositions. Diwan al-Han’s mission is to preserve the rich heritage of Arabic literature and music, but also to return the classical art form back to the mainstream of Middle Eastern society, as well as elevate it through an innovative perspective for appreciation beyond its geographic origins. Diwan al-Han is: Hani Dahshan (Voice and Qanoun), Ronnie Malley (Oud), Billal Malley (Percussion), Khalil Malley (Percussion), and Naeif Rafeh (Nay). Widely regarded as the founding father of Oriental Jazz. Yehya Khalil founded the Cairo Jazz Quartet, the first jazz band in Egyptian history, when he was only 13 years old. Following the band’s great success, Yehya traveled to the United States to pursue his studies in music. In his 15-year long stay, Khalil earned a degree at the American Conservatory of Music and tutored by the legendary percussionist Roy Knapp. Dubbed by jazz legend Dizzie Gillespie "The greatest percussionist alive, Khalil has earned international recognition for his unique blend of oriental and western sounds." He has played with legendary world artists such as The Four Tops, Eric Clapton, James Brown and Jimi Hendrix. Yehya Khalil presents a fusion of percussion arrangements with an oriental twist and classical jazz in concerts across the globe. Khalil pioneered the jazz movement in Egypt, and has been creating game-changing music for the past four decades. He continues to re-define jazz, blending world trends with local music. Spreading the Culture of Jazz Music through concerts, festivals, and the TV & Radio program "The World of Jazz". The foundation also provides workshops and clinics to educate young people about the culture of jazz generally; and help young talented musicians to improve their level and skills. Currently residing in the 21st century, Byzantine Time Machine uses and abuses the latest advances in audio technology while also honoring and defying musical styles that go back to “Byzantine” times. Vibrations created by their voices and instruments are processed through their “Time Machine” transforming them, through science and technology, into the sound of a futuristic dub orchestra from the Byzantium of an alternate universe. Baeoa is a cultural movement that uses art and music for social change. The music group was the brainchild of international artists from the Middle East, Egypt, Serbia, and Chicago. 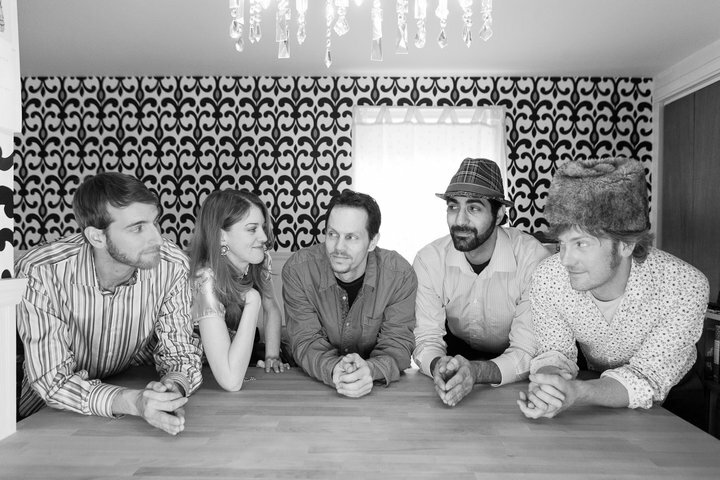 Baeoa has a genre-defying sound blending rock, jazz, and classical Middle Eastern music with Arabic and English poetry. Carlo Basile has a Masters Degree in Classical Guitar Performance from NEIU, and studied for 7 years with Anne Waller (head of the Northwestern University guitar program). Basile travelled to Spain to study flamenco in Andalusia with guitarists Luis Ruiz, Jose Luis Rodriguez, and Flavio Rodriguez. Basile has visited over 30 countries to perform, teach, and study ethnic music. He has taught Spanish guitar workshops in Chicago as well as Chang Mai (Thailand), Cebu (Philippines), and Hanoi (Vietnam). Over the past 16 years Carlo has performed Spanish guitar music for patients and staff at various hospitals in the Chicago area. He has worked closely with patients and their families in both public and private areas including Intensive Care, Chemo Therapy, and Surgery waiting areas. Carlo has received many compliments for his personal interaction, skilled performance, and appropriate musical selections over the years. His performances have also included artists from India, Senegal, Taiwan, Japan and Spain in order to provide a cultural diversity and a connection for many patients and staff. Carlo is currently a performing artist and consultant for “music healing arts” at The University of Chicago Hospital. He has performed and collaborated with noted artists such as Kinan Abou-afach (Syria), Morikeba Kouyate (Senegal), Sara Ranganathan (India), and Flavio Rodriguez (Spain/Brazil). Over the past 15 years, Basile has worked with Las Guitarras de España, a Spanish guitar-influenced world music ensemble which he founded. The ensemble has released 5 CDs to critical acclaim and has performed throughout the US for concerts, universities and major festivals such as SXSW. Basile also continued collaborations with Saraswathi Ranganathan (Indian veena), Ronnie Malley (Arabic oud), Morikeba Kouyate (African kora), Chihsuan Yang (Chinese erhu) in the project “Surabhi.” The ensemble performed on several concerts and festivals, composed new music and dance pieces, and planned more studio and live work for the coming year. Bob Garrett is currently a sub for the Chicago version of ‘HAMILTON’, composed and performed the percussion book for the world premiere of Sting's 'LAST SHIP', toured with the national tour of 'THE LION KING' for 4 years, performed in house band for Alan Parsons studio lecture series, a sub for Chicago Shakespeare’s ‘Macbeth’, co-created (with Ronnie Malley) score for A Diappearing Number- a Timeline Theatre Production, toured/and or performed with: Glen Hansard at Lollapalooza, Chicago Shakspeare Theatre and Victory Garden with director Gary Griffin; S. V. Balakrishna, Trinity Irish Dancers, John Elmquist and Hard Art Group, Redmoon Theatre, produced and performed for Anne Harris, Surabhi, Las Guitarras de España, Chris Siebold & Psycles, AfroCuban folkloric group-Toque Chicago, plus accompanied and or composed for dance companies/choreographers including The Seldoms, Carrie Hanson, Randy Duncan, Alvin Ailey Dance, Urban Bush Woman, Joe Goode, Bill T Jones, Hubbard Street dance co, and Ishti dance company. Bob is also co-founder(with Nadine Lollino) of Posterchild Art, a multi-disciplinary art company based in Chicago's art district. They've shown there work throughout the U.S. as well as Canada, Mexico and Costa Rica. Recently Bob is focusing on writing for film and commercial and co-created ESCP, an electronic music duo, with violinist/composer Chihsuan Yang. George Lawler is an accomplished per­cus­sion­ist, drummer, and music producer who has been involved in the Chicago music scene for over 20 yrs. He has been playing drum set for 33 years, and is adept at many genres of percussion, from ancient to electronic, with an emphasis on styles from the Middle East and Mediterranean region. George’s specialization in Mid­dle East­ern, Balkan, Turk­ish, and Greek per­cus­sion began in the mid 90’s as an apprentice to Tunisian per­cus­sion­ist, Najib Bahri, a sublime master of darbuka, (goblet drum), riq, (Arabic tambourine) and bendir, (frame drum). 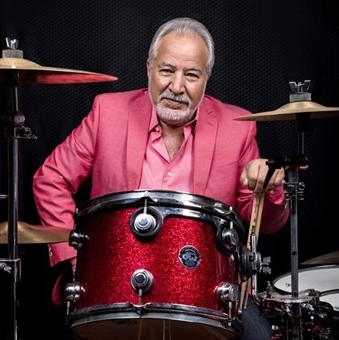 Through this mentorship, George learned the nuances of classical and folk­loric drumming styles of the Middle East and North Africa, and also the ingenious teaching method of the Arabic music conservatory. Further exploration into the art of Middle Eastern percussion led George to Istanbul, where he studied under a student of the great darbuka master Misirli Ahmet, inventor of the Turkish “split-finger technique.” He had an in depth immersion into Turkey’s folk, and Roma music when Lamajamal was the backing band for Turkish Clarinet virtuoso Selim Sesler in 2010. George has performed music in 23 countries, toured the U.S. with Egyptian pop star Nat­acha Atlas, and toured Europe with Lamajamal, A Hawk and a Hack­saw, and Bobby Conn. He is a founding member of Chicago’s 25 piece punk rock marching band “Mucca Pazza,” and has composed several pieces for the band. George presents per­cus­sion work­shops at Chicago Pub­lic Schools and directs a 33 piece drum line for five schools in North Lawndale. Since 2007, he and his wife, Eve Monzingo have been music direc­tors for the Orpheus Hel­lenic Folk­lore Soci­ety, providing musical instruction and performance for Greek and Balkan folk dance. Eve Monzingo is a multi-instrumentalist who specializes in folk music of the Balkans, the Mediterranean and the Middle East. She has performed in Greece, Turkey, Bulgaria, Hungary, Italy, Slovenia, Croatia, Austria, Germany, England and France with the Chicago Klezmer Ensemble, Die Naye Kaplye, (both Jewish folk music groups) and Lamajamal (mid-eastern/balkan music). Eve has also toured the U.S. with the Mucca Pazza and Lamajamal. Eve is passionate about music education and has presented music workshops and assemblies at many schools around Chicago. Since 2007, she has been the musical director for the Orpheus Hellenic Folklore Society’s youth and adult Greek folk music groups. 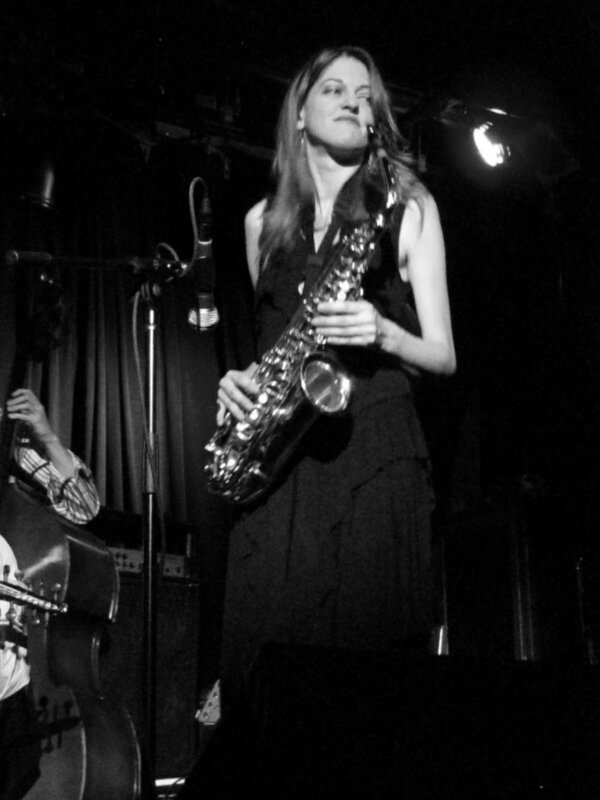 Eve has taught group ensembles and workshops at the Old Town School of Music, KlezKanada in Montreal, the University of Chicago and Roosevelt University. She taught private lessons on piano, clarinet, flute and saxophone at Leapin’ Lyrics Music School in Geneva Illinois for eight years and currently teaches private lessons from her home in Chicago. Eve began her journey into folk music by earning the Ethnic Folk Arts Apprenticeship Grant from the Illinois Art Council to study Greek clarinet music under Jim Stoynoff when she was still a teenager. She then went on to earn scholarships to attend various folk music conferences, including the YIVO Institute for Jewish Research and Culture (commonly call Klezcamps), the Eastern European Folklife Group’s Balkan Music and Dance Camps, and Simon Shaheen’s Arabic Music Retreat. Eve received her degree from Roosevelt University where she studied classical composition and music theory with Dr. Robert Lombardo. Her composition credits include 1st prize in the American Jewish Song Festival (1994), 2nd prize in the Midwest American Chapter of Women Composers competition (1996), and 2nd prize for her string quartet in the Virginia and Seymour LaRock Composition Competition (2001). Her compositions are featured on the recordings “Sweet Home Bukovina” by the Chicago Klezmer Ensemble (1996) and “Trumpets” by the Amsterdam based klezmer group, DiFidl-Kapelye (2006). Habibullah Wardak is the son of immigrant parents who moved to Pakistan during the Russian invasion of Afghanistan. He studied Afghan folk music and Indian classical music on the rubab (an Afghan stringed instrument) at the age of 8. He immigrated to the United States at the age of 11. He has been featured on many news sources such as the BBC, NPR and WTTW for his mastery of the rubab and performances of Afghan music. 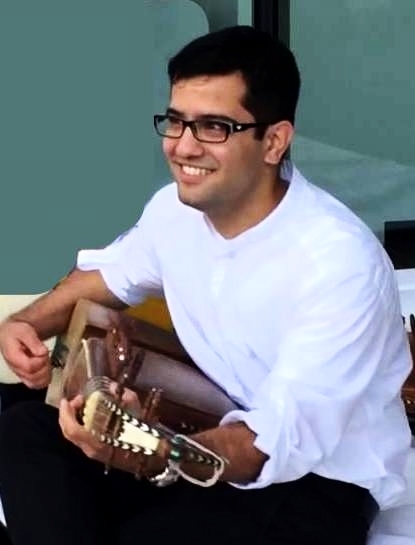 He also has collaborated on many projects with the University of Chicago, Miami University – Cincinatti and Columbia College Chicago, and has served as a consultant on Afghan culture and music. Past theatre work includes THE JUNGLE BOOK (Goodman Theatre).